Designed and Made in England by Hardy Punglia for The Left Bank. 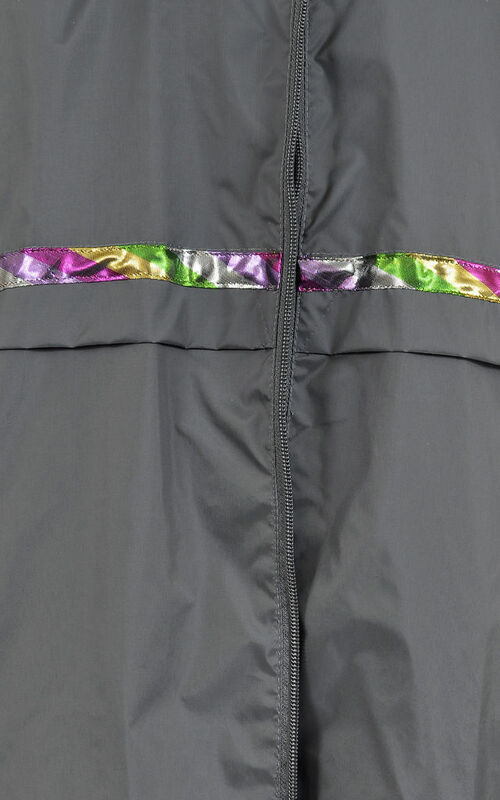 This super cool windbreaker jacket is fully waterproof and features a stunning contrast colourful metallic band running through the front only(the photos don't show how stunning this band truly is in real life). 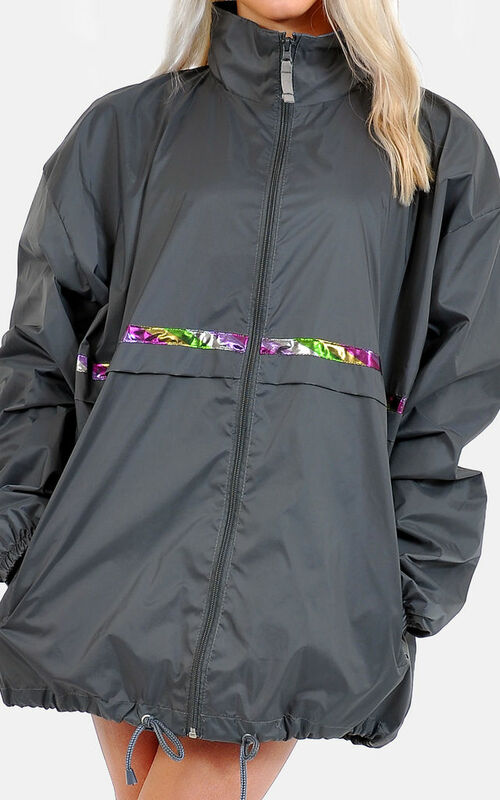 The jacket is a simple shape that has a drawstring running at the bottom hem so you can gather the jacket to create a more casual look. Other features include a mesh lining and fold-away hood in the collar, there are also 2 zip pockets. The jacket is an oversized boyfriend fit.